Call us at (810) 229-1944 today. Dr. Bruce Zapor is an established Chiropractor with 25 years of experience. We participate with most insurance companies, BCBS, PPO, PPOM, Medicare also private insurance and health savings accounts. Please browse the site. Click the topic bars on the left to view that subject. Most americans, when they feel pain, reach for a pill bottle. Forget television commercials and drug advertisements for a minute, and let's talk about real life. There have been multiple studies showing that a majority of people with pain who seek drug treatment are not happy with their long term outcomes. In reality we all know someone, maybe even you, who are in a similar situation. Without a doubt, short term pain relief from drugs is wonderful. Unfortunately, for several reasons, many people do not obtain the results they wanted. Perhaps a drug worked fine, but when it wears off, the pain returns. Another person may have felt the drug, "take the edge off", but the pain is still there. Or sometimes people can have pain so profound that, " it didn't help at all". It's simple, really. Even though drugs can mask pain, what caused it is still there. Often pain can be the result of structural imbalances in the body. Structure and function are directly related; poor structure equals poor function. Pain serves as the major signal that the human body can give the brain saying, "hey, something isn't right down here". There are, of course, more symptoms of structural imbalance than just physical pain. Such imbalances can actually cause poor functioning of other body systems. This is why it is common to hear in chiropractic offices "I saw the chiropractor and my________ got better." Fill in the blank: my asthma, my childs ear infections, my headaches, my digestion, my shoulder, hip, or leg pain. Chiropractic's traditional philosophy is that all living beings have an inborn ability and striving to maintain their own health. A chiropractor sees the spine as the core of the person. A slightly misaligned vertebra, interferes with, and reduces the bodies natural recuperative abilities. The goal of a chiropractor is, therefore, to find and correct those vertebra thereby correcting the structural imbalances of the spine. 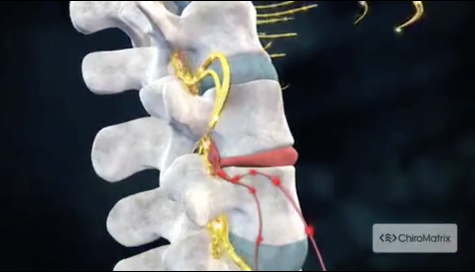 If a spinal structure problem was the cause of the symptom, then the body has the best chance to heal itself. Correcting those misalignments, technically termed subluxations, are the single focus of chiropractic care. Need more time or more information ? A sit down consultation with Dr. Zapor is free. You can discuss your entire case. Have a preliminary exam to see if you are a chiropractic candidate, no cost. We will also be happy to answer questions sent via the Contact Us page. A new healthy living Web site is giving everyone in Michigan access to over a thousand free and low cost activities. Many of them are even in your neighborhood. The web site also links to a free, computerized health coach called Steps Up, produced by the Michigan Department of Community Health. "I have benefited tremendously from the chiropractic care I received from Dr. Zapor." "My health has improved considerably thanks to Dr. Zapor!"